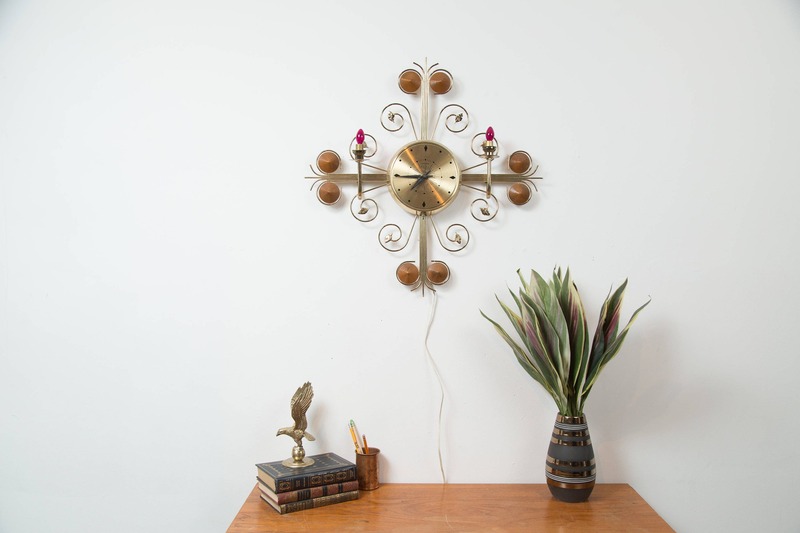 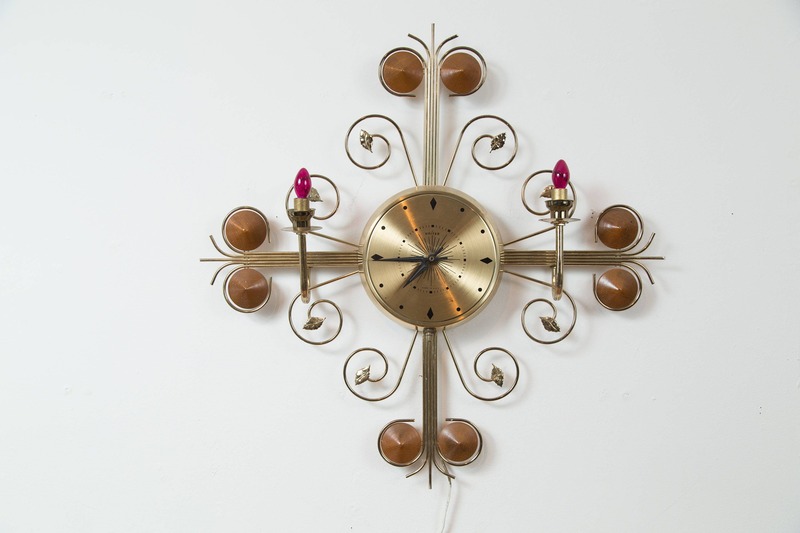 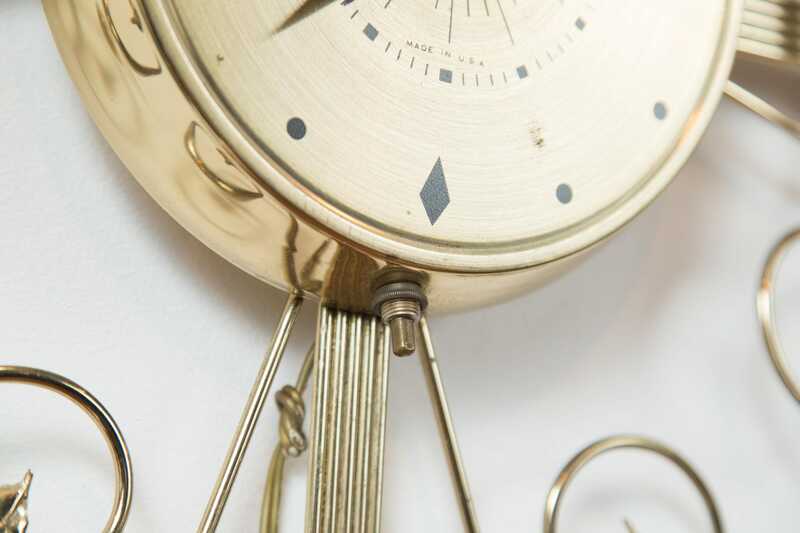 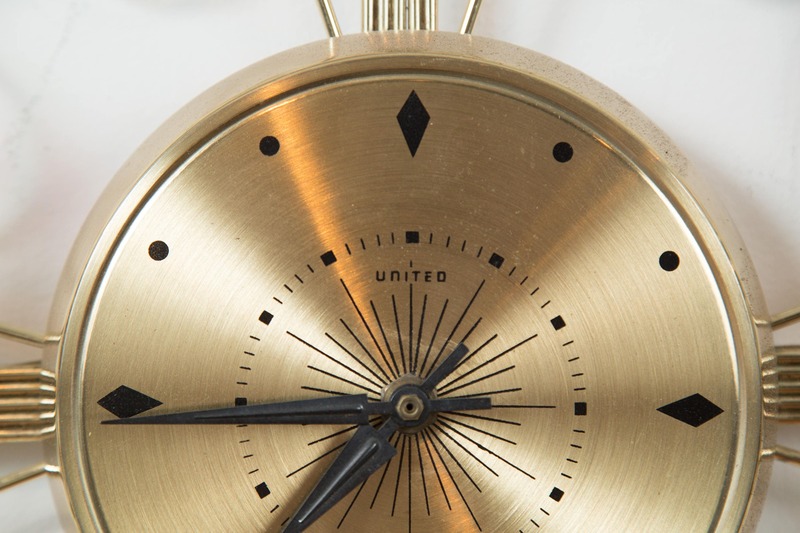 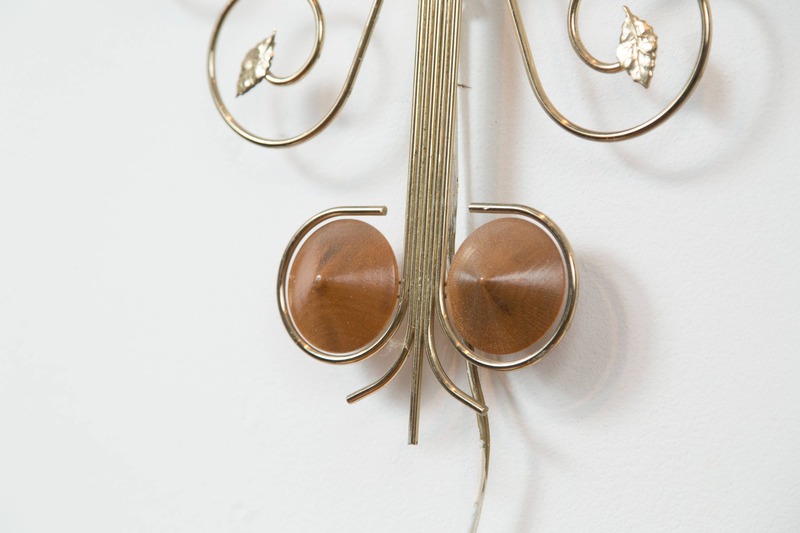 This working 1960's brass ornate sunburst wall clock is a wonderful piece of mid-century modern decadence. 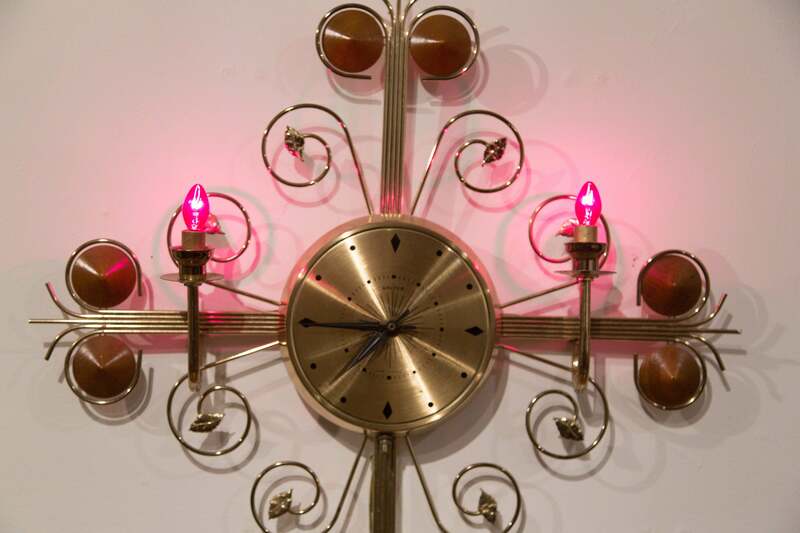 There are two red bulbs that can be switched on or off. 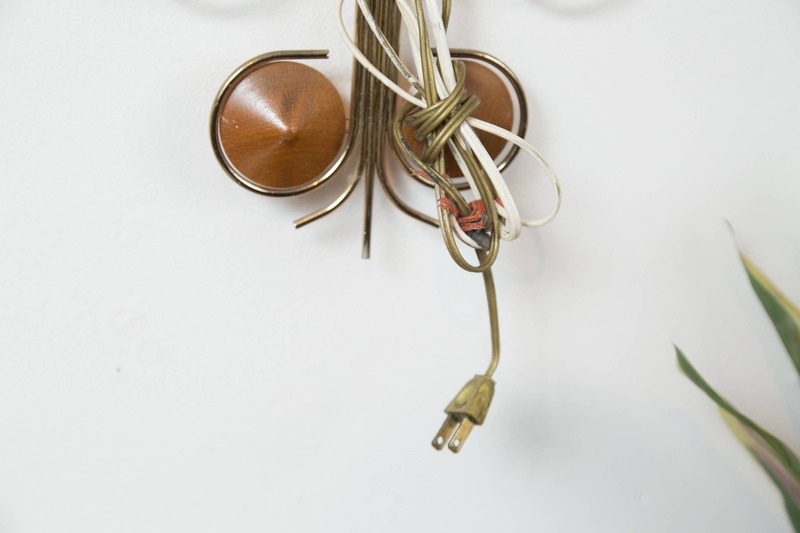 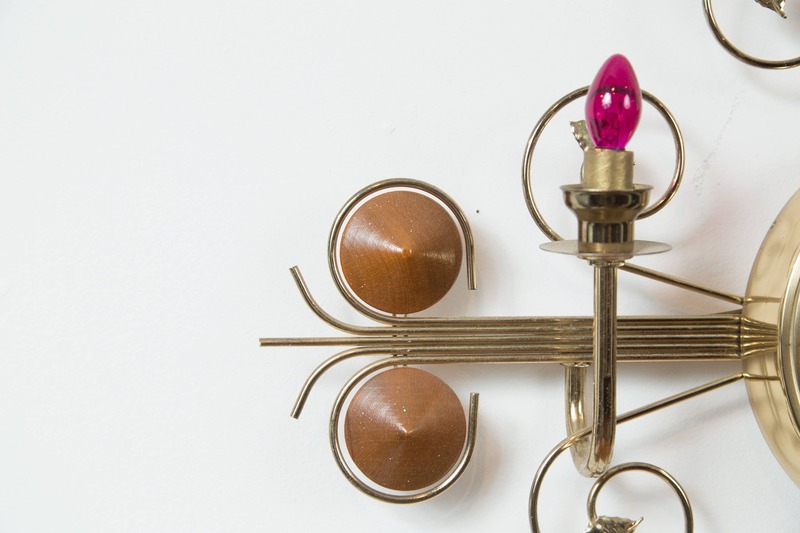 You can replace the bulbs to suit your decor. 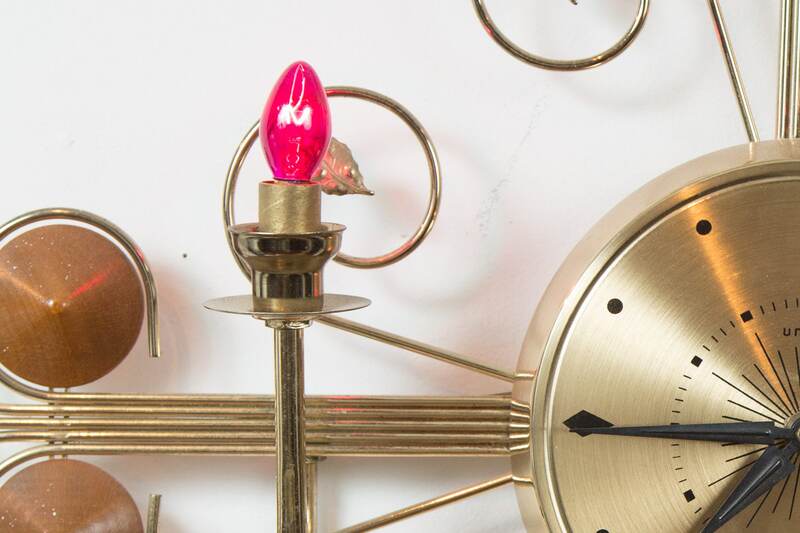 There is an on/off switch for the bulbs at the bottom of the clock. 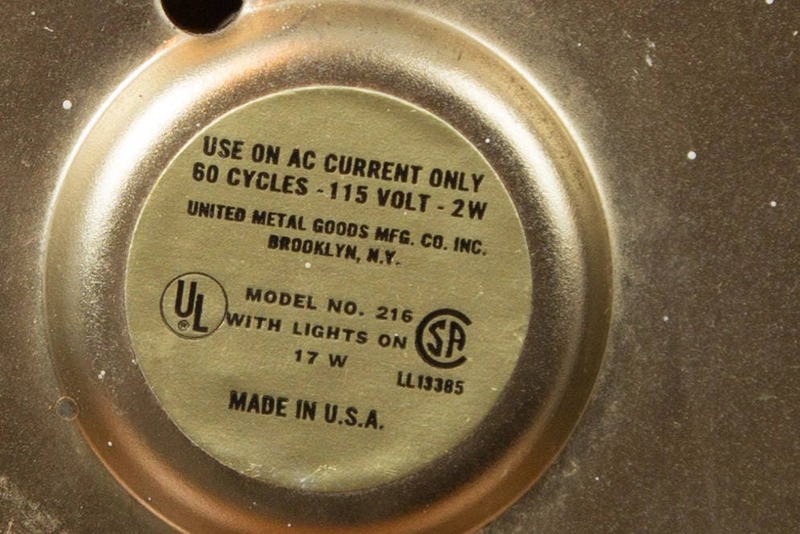 It is made in the USA by United Metal Good Mfg.